Boyds, Md. 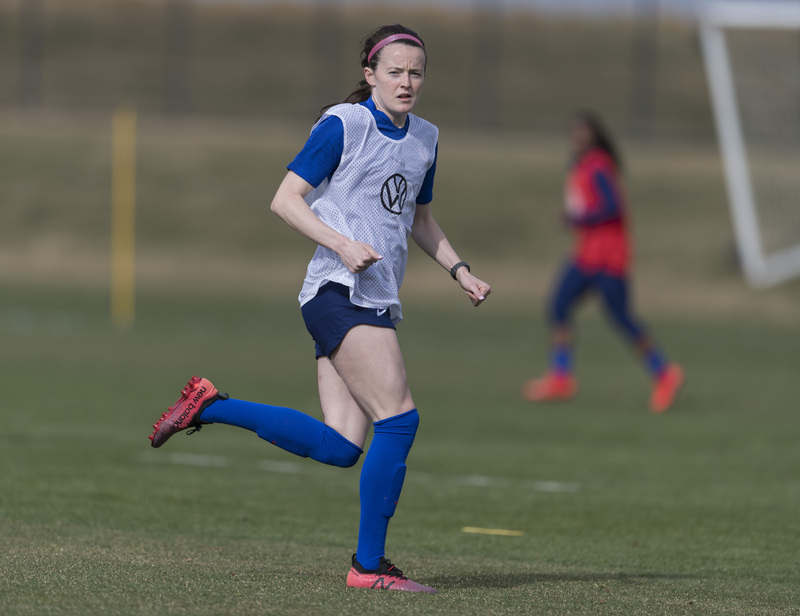 (4/4/19) – Washington Spirit players Mallory Pugh, Andi Sullivan and Rose Lavelle have joined the United States Women’s National Team for a round of friendlies against Australia this Thursday, and Belgium on Sunday. Spirit teammates will face off as newcomer Chloe Logarzo, who joined the Australian camp in late March, will go against her American counterparts. The last three matches between the U.S. and Australia have resulted in a split series, with the USA defeating Australia 3-1 in the opening game of the 2015 FIFA Women’s World Cup, Australia defeating USA 1-0 at the 2017 Tournament of Nations, and a 1-1 draw at the 2018 Tournament of Nations. Kickoff between the two powerhouse nations is set for 8 p.m. EST on FS1. Later in the week, the USWNT will face Belgium on April 7 at Banc of California Stadium in Los Angeles. Belgium is a fast-improving European nation, ranked 21 in the world. The match on Sunday will be the first between the teams and will mark the 54th opponent for the USA in its history. Belgium finished second in their UEFA Women’s World Cup Qualifying, two points behind Italy. They earned a playoff berth but fell to Switzerland in the semifinal playoff, losing on away goals. Coverage for the match will begin at 9 p.m. ET on ESPN2.